Occasionally, games need to be redone. They were good, and had a good premise and mechanics. But over time, things need to be updated, rebalanced, and re-thought out. Such was the case with Kanzume Goddess. And Japanime Games has done it. It's now Kamigami Battles: Battle of the Nine Realms, a PVP deck-building game. The game's been cleaned up and is now up on Kickstarter. 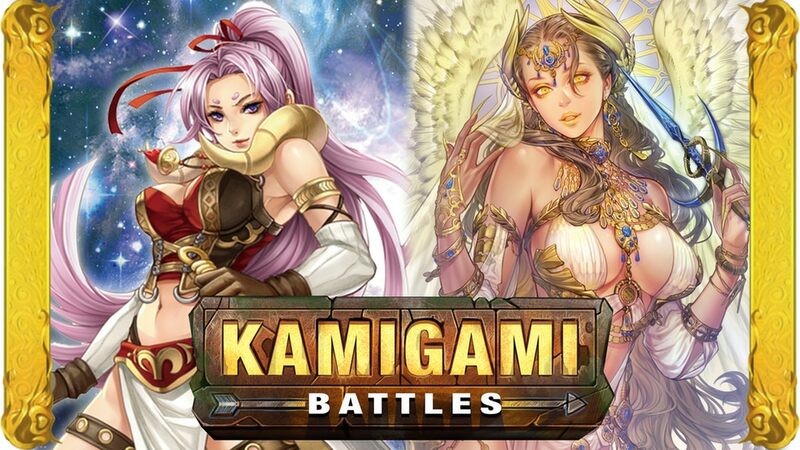 Kanzume Goddess reemerges as Kamigami Battles: Battle of the Nine Realms, an epic aggressive PVP deck-building card game, with new mechanics, new content and even more to come! We have cleaned up the rules, adjusted the balance of powers in the realm, and created some exciting new game elements that new and current fans will love. - Several Gods have been rebalanced and the rules have been clarified. - The Chaining Colors (the circles at the top left of each Warrior with a color and zodiac symbol) have been updated so that the symbols are black. The original game was formated such that color-blind fans struggles to see the symbols and colors. By making the symbols black, now one can chain their cards based on symbol alone. - Increased the size of the God cards and we have updated the card backs. Your game can fit in the box sleeved or unsleeved, with promos! - Better card quality and packaging so that you can sleeve your game! - We have added temples and we have several other game upgrades to come should we reach lots of stretch goals! Fans have been asking about expansions to Kanzume Goddess since its original release, so in addition to Battle of the Nine Realms, we are also pleased to offer a NEW stand-alone expansion to Kamigami: Kamigami Battles: River of Souls! River of Souls will include brand new artwork featuring Gods, Warriors and Disciples from the Egyptian and Babylonian pantheons and myths. The Kickstarter campaign is already over its funding goal. So it's on to stretch goals for the next 22 days.